As consumers shift to digital or online, RCBC desires that the banking public would make wise and be careful in their choices in transacting with banks online. While going online makes everyday activities easier and convenient, it also exposes accounts to risks which is why it is always important to take precautions to protect one’s personal information. 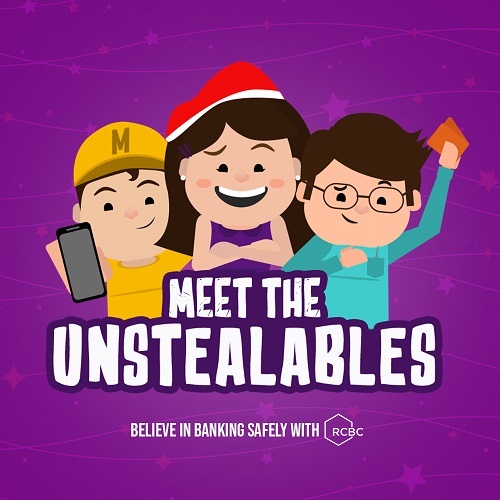 To remind everyone to be proactive in securing their bank accounts, the Yuchengco-led bank introduces a team of safety-savvy individuals, The Unstealables, to show the importance of keeping financial data secure both online and offline. With this unique trio, RCBC highlights the responsibility it shares with clients in keeping the integrity of their accounts by giving simple tips and smart practices. Accessing financial services online might be the answer for some millennials these days but for Brad, nothing beats going to the bank’s branch for a personal transaction. 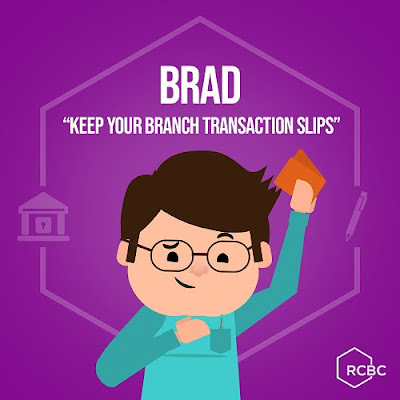 LikeBrad, you can keep your data protected and track your money by constantly keeping bank transaction slips as proof of your activity. You should also be vigilant and avoid communicating with tellers outside the bank as they may only be phishing for account information. Remember that RCBC will never ask for your password, PIN security, and address over the phone or online. 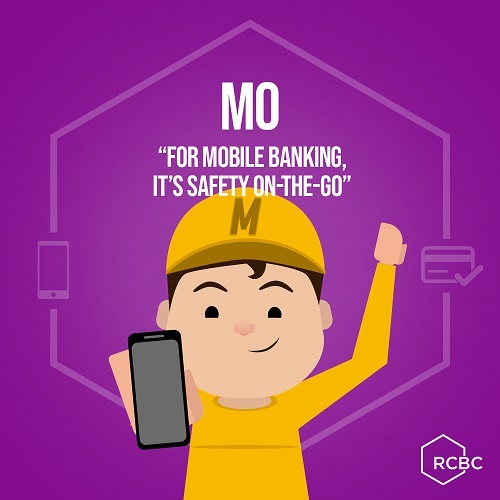 Mo is a tech-smart individual but as much as he likes to use his smartphone or laptop for transactions, he values branch-level security even when banking on-the-go. Like Mo, you should go online to check your account activity to track any unauthorized transactions. You can easily view your statement of account when you visit www.rcbconlinebanking.com and enroll your account. You should also be wary in sharing any financial achievements, such as posting a selfie with your newly approved credit card, to avoid fraud and identity theft. 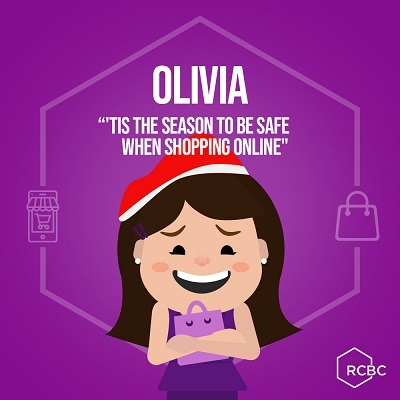 With the holidays fast-approaching, avid shoppers like Olivia are excited to go on a shopping spree with their debit or credit cards. When shopping online, she makes it a habit to check the online store’s URL to know whether it is trustworthy or not. If the URL is “https” and not “http”, then you are safe from scams and even computer viruses. When inputting your bank details to checkout, RCBC also gives you added security by sending a One-Time-Pin to your messages for every online transaction to ensure that you are the one making the purchase. Together with The Unstealables, RCBC assures its banking clients that they are secured by constantly giving news and updates on their safety measures. The commercial bank believes that every Filipino has the right to reliable, accessible, and affordable financial products and services and will continue to safeguard the trust that consumers have placed on them.